Acid Tanks - Industrial Grade Acid Storage Tanks for Sale. Suflfuric, Nitric and Hydrochloric acid tanks are the most popylar. 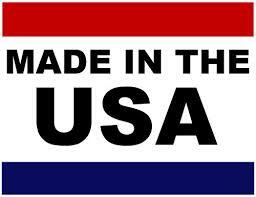 ... Poly Acid tanks are found in just about every plant that utilizes acid in thier operations. That being said, there are a great many types of acid and each one has special needs for safe storage. We make and outfit acid storage tanks for most of the acids in use. Selecting the proper tank for acid storage involves deciding which kind of plastic is the best suited. The proper storage tank also needs to be rated to the correct specific gravity rating. Deciding on the right material for fittings and gaskets is also important. We can help you simplify the process in making the right selections for your acid storage tanks. Plastic tanks are rated according to the specific gravity of the liquid they are designed to hold. If you want a little more information about specific gravity, click here. The most common specific gravity ratings for plastic tanks are 1.9, 1.5 and 'Water Only'. Some manufacturers use slightly different numbers. It is important to match your liquid with a tank that is rated for the correct specific gravity. 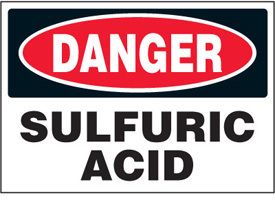 Sulfuric acid is the most used kind of acid in plants and manufacturing facilities. It is also one of the most aggressive and dangerous acids when stored in high concentrations. The level of concentration of Sulfuric acid in the stored solution has a big impact on the compatibility of tank and fitting materials. Two factors that affect the proper storage of Sulfuric Acid are the density of the acid and the fact that when water is introduced to Sulfuric Acid an exothermic reaction takes place that gives of enough heat to make a tank or fitting fail. Tanks need to be rated to a high enough specific gravity for the acid concentration. Poly tanks should also never be used for mixing sulfuric acid and water. Secondary containment is especially important when storing Sulfuric acid. Consider a double wall acid tank as an efficient storage and containment solution. Hydrochloric acid is a very strong, very corrosive acid that is clear and colorless. It is formed when hydrogen chloride dissolves in water. Hydrochloric acid is used to make fertilizers, and dyes. It is important in electroplating, and necessary in the photographic, textile, and rubber industries. 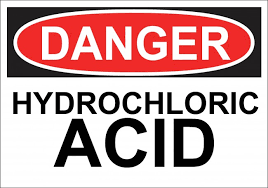 All body tissues can be negatively affected by coming in contact with Hydrochloric acid and/or its fumes. Proper venting of Hydrochloric acid fumes through a scrubber can be an important aspect of proper storage. Nitric Acid is without color or, a yellow, or red, fuming liquid. It emits a dangerous, acrid, suffocating odor. 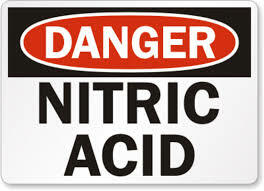 Similar to Sulfuric acid, Nitric acid has an exothermic reaction when it comes in contact with water. It will emit heat that may damage a storage tank.